The 30th year of WWDC, Apple has continued to offer developers the chance to visit via its lottery system, where prospective attendees apply and are selected at random from the entire applicant pool. Emails confirming the Developer's attendance are now being sent out to those selected to take part. Winning participants will now be charged $1,599 for their ticket to the event, though not all attendees will have to pay that sum. Up to 350 WWDC scholarships are available in 2019, which is offered to students and members of STEM organizations free access and lodging. WWDC provides attendees insight into the future of Apple's software platforms, and gives an opportunity to work alongside Apple engineers behind the technology and frameworks that go into Apple's various apps and services. Technical sessions, hands-on labs, and guest speakers are usually available to attendees, both for existing developers and for those new to app development. The conference is also where Apple shows off upcoming features to its operating systems, including what will become "iOS 13" and "macOS 10.15," among other items. 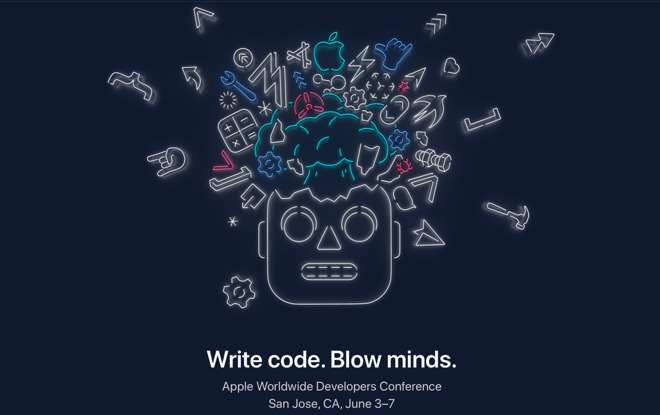 Those not lucky enough to attend will still be able to learn from the sessions, as they will be available to view via streams on the Apple Developer website, as well as the WWDC app for iOS and Apple TV. Well, I'm not a developer, so congrats to the winners! BUT...I feel like I have the best seat in the house for the Keynote anyway. I'll be right here sitting in my dining room with a fresh cup o Joe watching the keynote on my 2018 MBP 15". No money spent on gas, lodging or food. Kitchen and bathroom are only a few steps away. LOL. Can't wait for next Monday. I'm not into paying for streaming services (other than Netflix) but I'm sure Apple will be offering something intoxicating. If you’re a developer the most valuable part of the conference are the labs where you can get help, and potential contacts you make with other developers and those looking for people. The sessions otherwise are recorded and yes, you have the best seat watching on your computer with it being best to have the videos played on your large 4K tv while you optionally follow along on your computer. Yeah it’s a week-long dev conference full of events, during the day with Apple engineers and after hours with other colleagues and professionals. It’s not about watching a two hour keynote.